It's time for letter V for the Untried A-Z challenge. I honestly thought I had way more V-polishes in my collection! Oh well, one would be enough for the challenge, right? My pick was Viridian by Illamasqua. Viridian was a long time lemming until I got it in a very generous swap. Unfortunately I then realized Illamasqua just doesn't get along well with my nails' chemistry. I wore my Illamasquas several times, using different base coats and top coats but they just won't work. I have issues applying them the way I wished and they last really short on me. 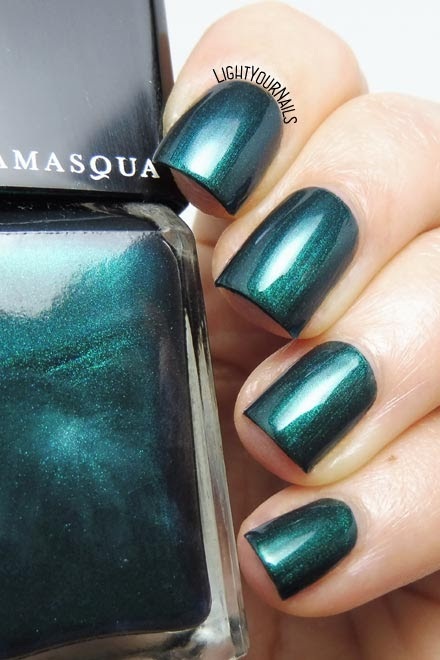 That said, Illamasqua Viridian is a beautiful peacock green shimmer nail polish. It's opaque in two coats but does not dry glossy so you definitely need a top coat. Photos: two coats + top coat. How do you like this shade? It's quite seasonal I guess! And what's your experience with Illamasqua? Today's nail polish is a very seasonal one colour-wise. This is Misa Hot Couture from an old collection called Runway which was released prior to 2010 or so. Misa Hot Couture is a mustard yellow creme. Formula is on the watery side and quite tricky to apply as it tends to leave bald spots on the nails. Drying time is also not quick. Photos: three coats + top coat. This nail polish gets a thumb down from me. So not worth getting. I don't think it's this bad because it's old honestly. I feel like most Misa nail polish behave like this which is a shame because I really like some of their colours but I hate the formulas. Do you like the colour though? I think it is so appropriate for Fall! Today's nail polish is my pick for the #ITPANTONE2018 challenge on Facebook. This week's shade is Nebulas Blue: "Reminiscent of twilight, a thoughtful, starry-eyed blue". I choose Yes Love Mirror no. 38, a medium blue with a foil finish. Application was easy and the colour is very pigmented. Drying time is not that quick so you'd better use a top coat. I used to find this brand in dollar stores but not lately. It's a shame because they had an interesting range. I especially loved their mattes for example. About the shade, I think it's a good match to Nebulas Blue, don't you think? It's time for letter U in the Untried A-Z challenge! I went down under to Australia to pick my U! 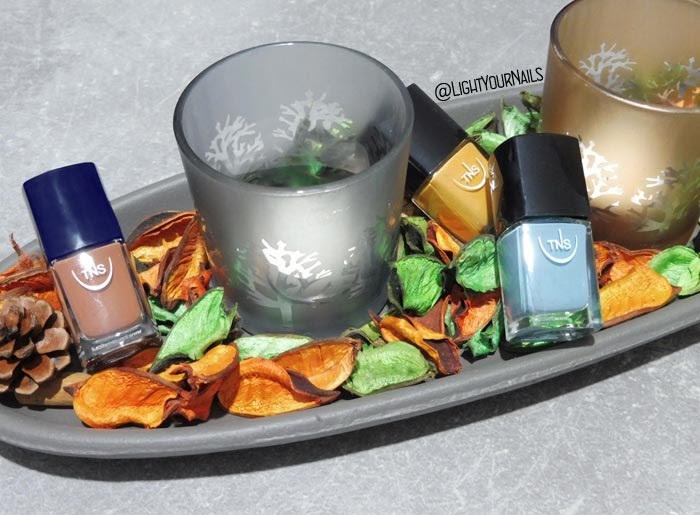 Meet Ulta3 Infamous: a shimmery teal nail polish which is a perfect balance of green and blue. The shimmer is amazing you guys! It has such an incredible depth it's just mesmerizing. I've been staring at my nails for three days now. Application was a dream, it goes on like butter and it's perfectly opaque in two coats. A glossy top coat definitely helps getting extra depth. I love this shade and finish. I seriously can't stop looking at my nails and I wonder why it took me so long to wear it. It's such a shame this brand is impossible to find over here, I am really impressed. This week's shade for the #itpantone2018 challenge (Fall-Winter 2018) on Instagram is Valiant Poppy: "Brave and outgoing red shade effusive in its allure". I love a good bright red so I guess I own a few. This time I went for Kiko 461 Art Poppy Red. It was released ages ago in the Denim collection which was an entire semi-matte finish limited edition. 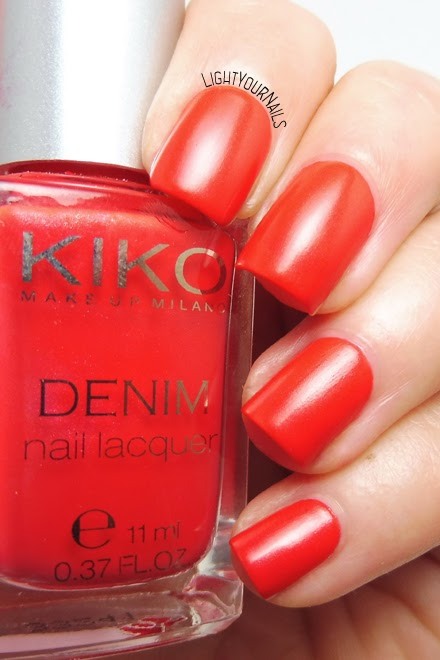 Kiko 461 Art Poppy Red is a bright red with some pink undertones to it that show most under artificial (warm) light. It has a satin/semi-matte finish and fortunately dries quickly, which you need because you can't use a top coat to preserve the finish. Application is incredibly easy and the formula is still great. I am not 100% sure Kiko 461 Art Poppy Red is "Valiant" enough but it's a good fit anyway I guess. How do you like it? And do you like this Pantone shade in general terms? Have you heard the #itpantone2018 challenge on Instagram has started again? This time it's all about Fall-Winter Pantone shades! The first colour was Red Pear: "Deliciously deep red, whose luscious depth entices." I picked Pupa 609 and I hope it was a good choice colour-wise. 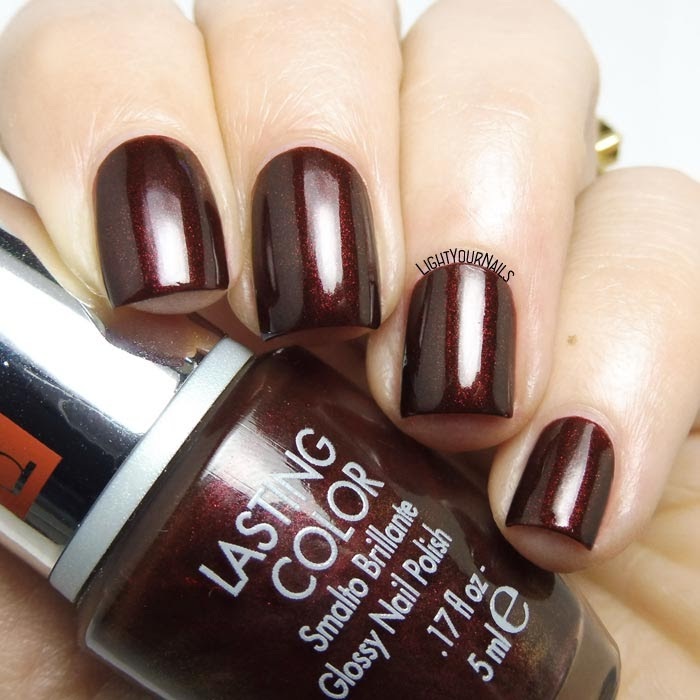 Pupa 609 is a vampy maroon-red shimmer that applies beautifully. The colour is opaque in two coats. Drying time is not that fast, and it doesn't dry too glossy so you'd better use a top coat here. Btw, Pupa is an Italian brand in case you didn't know. I remember it since I was a kid, it's such a classic over here. Do you think Pupa 609 is a good Red Pear shade? Do you like it? If you do maybe you can like the original pic on Instagram? I would love you to follow me there, too! We are already up to letter T in the Untried A-Z challenge, woot! 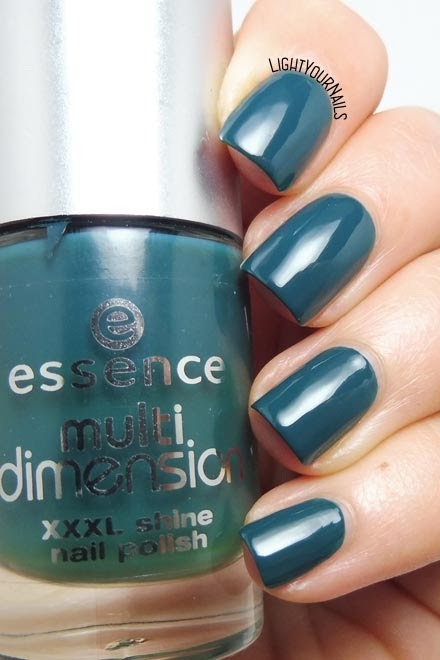 I picked a super old Essence nail polish from their long discontinued MultiDimension range. I loved that range you guys, it was such great quality. Essence MultiDimension no. 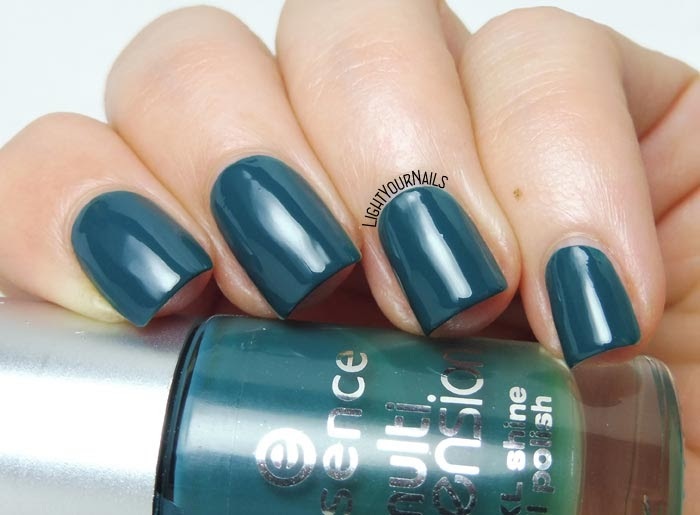 64 Trendsetter is a green teal creme that applies like butter, it's opaque in two easy coats and dries shinier than ever. 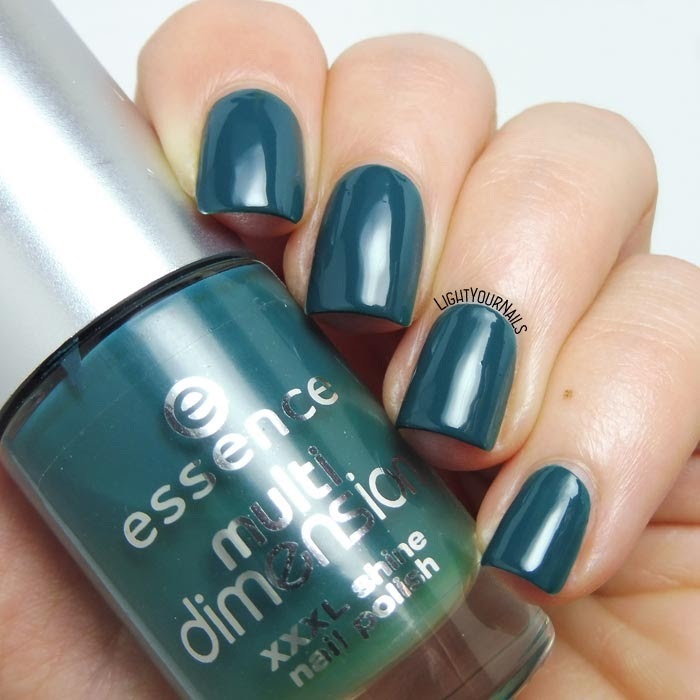 Some of my ever favourite shades come from this old range by Essence and I can still see why. 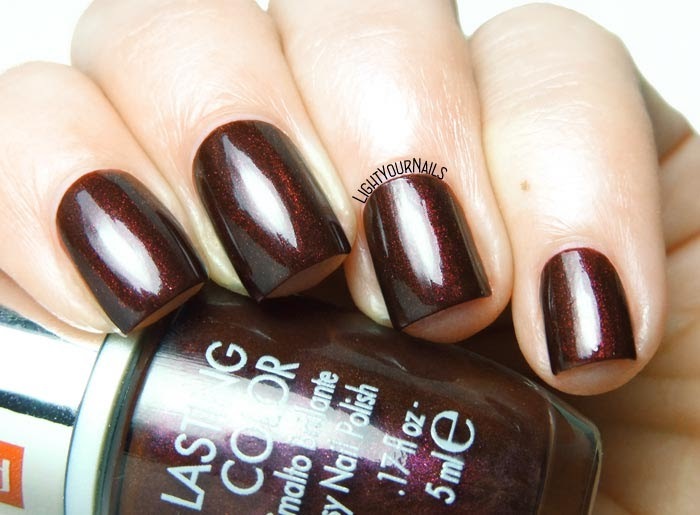 This one is a great colour, too, perfect for Fall by the way! How do you like it? Is there any brand or range that was discontinued and you badly miss?